The bio of The 2nd Duke of Northumberland | Launceston Then! Hugh Smithson was born on August 14, 1742 to Hugh Smithson, Elizabeth Seymour. His mother was the heiress of the House of Percy. In 1750, upon the death of his maternal grandfather Algernon Seymour, 7th Duke of Somerset, his father became Earl of Northumberland and changed his name to Percy. Hugh was educated at St John’s College, Cambridge. In 1774, he was sent to Boston with the local rank of Brigadier General, Colonel of the 5th Regiment of Foot. His views on the military discipline were ahead of their time. “He detested corporal punishments. At a time when other commanders were resorting to floggings and firing squads on Boston Common, he led his regiment by precept and example.”Politically a Whig, he at first sympathized with the colonials, but he soon began to despise their behavior. He led the relief column at the Battle of Lexington and Concord. Percy’s intelligent actions probably saved the British forces from complete disaster that day. During the whole affair, the rebels attacked us in a very scattered, irregular manner, but with perseverance and resolution, nor did they ever dare to form into a regular body. Indeed they knew too well what was proper, to do so. Whoever looks upon them as an irregular mob, will find himself very much mistaken. They have men amongst them who know very well what they are about, having been employed as rangers against the Indians and Canadians, and this country being very much covered with wood, and hilly, is very advantageous for their method of fighting. He was absent from the field during the Battle of Bunker Hill, perhaps due to a quarrel with General Howe, a man with whom Percy could not get along with. The following year, Percy commanded a division during the Battle of Long Island and led the storming of Fort Washington. By 1777, he achieved the rank of Lieutenant General but grew so disgusted with the conduct of the war by General Howe that he resigned his command and left America in 1777 after a dispute over a quantity of hay. Percy was granted a divorce in Parliament from Lady Anne in 1779 on the grounds of her adultery and immediately married Frances Julia Burrell on 23 May 1779, with whom he had six daughters and three sons, with three daughters and two sons surviving him. In 1786 he acceded to the title upon his father’s death and continued his father’s agricultural improvements. For example, when corn prices fell after 1815, he reduced his rents by twenty-five percent. He held twice-weekly gatherings at Alnwick Castle, inviting tenants and local tradespeople. He also assumed command of the Percy Yeomanry Regiment in 1798 and as Colonel of the Royal Horse Guards in 1806. This next section is taken from a piece by R. G. Thorne. 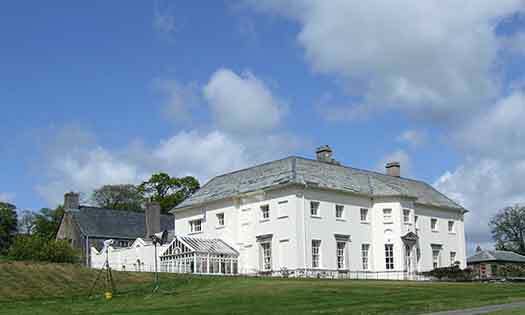 By purchasing the Morice family’s estate of Werrington, Hugh, 1st Duke of Northumberland, acquired the leading interest from 1780; his heir Hugh, who succeeded to the title and to the recordership of Launceston in 1786, preserved his interest there by charging low rents and finding places for the corporators, as well as by keeping down the number of freemen created. Having fallen out with Pitt he had refused to return George Rose, the latter’s secretary at the Treasury, when he sought re-election at Launceston in 1788, and this decision had disagreeable consequences for him. In 1790 he was able to return his friend Sir Henry Clinton, who at least voted at first with opposition, and a needy friend of the Prince of Wales, Lord Rodney’s son, but on the next vacancy in 1795 he found that the Treasury had undermined him. They contrived this by encouraging the Duke of Buccleuch, assisted by Sir John Morshead, who subsequently assured the government that Buccleuch might now, by purchase, form a permanent interest at Launceston, to put up William Garthshore, secretary to Dundas, against Northumberland’s nominee. To make matters worse, this was Lord Moira’s brother, though government did not know it in advance. You mistake me much if you suppose I have made any arrangement with the Duke of Northumberland and as I remember the late Duke of Northumberland’s purchases of the late Mr Morice’s estates and as I never had an idea until I received your letter of the Duke of Buccleuch’s having any connexion with that part of the world, I imagined the attack upon the Duke of Northumberland to have been formed by some adventurer and therefore did not hesitate to say that it was my belief that it was not countenanced and was not likely to be so by you or any part of administration. Wherever the Duke of Bucceluch has a natural interest I should indeed be surprised if it had not your decided support. Portland added that he would be surprised if so recent an interest were ‘so dilapidated in so short a time’. Buccleuch, however, was encouraged by the fact that all but five of the corporators, starved of places by their patron’s opposition to government and led by John Cudlipp, a physician, were prepared to support him for the benefit of ‘the glare of Treasury sunshine’, and he secured the return of his nominee. Northumberland wrote to his remaining Member John Rodney on 26 June 1795, complaining of ‘the treatment I have received from ministers’: he wished ‘to oppose them to the utmost’. Referring to Rodney’s inactivity during the current Parliament, which he had hitherto excused, he added, ‘this … cannot continue, as otherwise if my Members and I do not agree in sentiments, my weight and consequence in Parliament is totally lost and the minister gains the very point at which he aims’. Rodney was required to give up his seat if he did not act as the duke desired; after consulting the Prince of Wales, he did so. The duke, having instigated unsuccessful quo warranto proceedings in King’s bench against his defaulting electors in 1795 and April 1796, now put up James Brogden, a London merchant, with his defeated nominee’s brother who, like Rodney, belonged to the Prince of Wales’s circle. Buccleuch put up Garthshore and his own heir, again ‘aided by Treasury influence’. After a close contest, Northumberland triumphed by one vacillating vote. Lord Dalkeith was sure of a seat elsewhere, from Lord Ailesbury, who deprecated the continuation of the struggle at Launceston, owing to Lady Ailesbury’s connexion with Northumberland. Despite talk of future intervention by Buccleuch, Northumberland was left in undisturbed possession of the borough henceforward. As a security, the number of freemen was reduced to 20, then to 16. Although James Brogden, who became the duke’s confidant in public affairs, faithfully followed his crotchety patron’s somewhat shuffling line in politics, the other Members proved less compliant. Thus the duchess’s Whig nephew Capt. 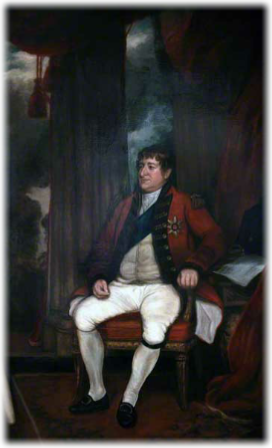 Bennet was required to vacate his seat in 1812, after the duke had decided to support the Liverpool administration. At that time, Sir Charles Monck was assured that if he offered he would rout the duke’s nominee. Bennet’s successor, the duke’s lawyer friend Raine, auditor of his estates, was severely reprimanded when he voted with opposition on 11 June 1812; the duke wrote that Raine ‘must take the Chiltern Hundreds’, if he so behaved again. On the death of the 2nd Duke in 1817 his heir again nominated Brogden with the son of his friend Sir Edward Pellew, to whom he was obliged for the promotion of Algernon Percy in the navy. Nothing came of opposition announced by (Sir) Manasseh Masseh Lopes at Launceston, beyond some electioneering squibs against the duke, though it led to a contest at his neighbouring borough of Newport. Notorious for a bad temper as well as for being one of the richest men in England, the second Duke of Northumberland died suddenly of “rheumatic gout” in July 1817. He was buried in the Northumberland Vault, within Westminster Abbey,and was succeeded by his son Hugh Percy, 3rd Duke of Northumberland.